Our talent, experience, and creativity, in collaboration with our clients, combine to create long-term shareholder value and professional relationships that stand the test of time. Deni has 17 years of international experience working in both fields of architecture and landscape architecture. Deni's specialization is with landscape planning and tourism development strategy. He has been involved in the design and implementation of various projects ranging from small courtyard projects, prefabricated architecture to large scale projects; including resorts and hotels complex, stations, terminals, sport venue, as well as public realm design. 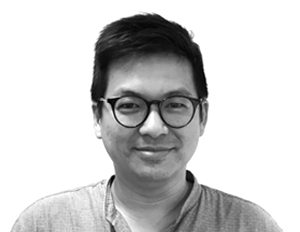 As Landscape Designer with an architecture background, he believes that beauty comes from a harmonious integration and sustainable relation between natural and man-made environment. He is an expert in multidisciplinary design coordination, large team project management and implementation of complex projects. ARE YOU READY TO ENTERTAIN? Let's Get the show started!